The Manager, Field Service, Brazil is responsible for managing all of the field service support activities within the region in order to achieve service level and customer support objectives. Primary responsibilities include 1) leading, managing, and supporting a staff of 7-8 incumbents, including Service Admin and Field Service Engineers to achieve Service business objectives; 2) building a comprehensive, tactic business plan, including specific, measurable, action oriented objectives in accordance with regional and territorial goals; 3) achieving/exceeding assigned installation, maintenance and repair targets through effective coaching and development of employees; 4) identifying and implementing process improvements and changes to increase the group’s effectiveness and value to its customers 5) managing all aspects of employee’s job performance and career development and 6) Achieving/exceeding revenue/order/margin targets for the District. This person must be able to assume more additional responsibilities positively impacting the business such as special projects, mentoring future leaders, strategic business planning participation. Ability to function more autonomously with fewer interventions from leadership. Managing the Service activities across the assigned Region to achieve customer satisfaction, expense control objectives and service revenue budgets and employee satisfaction and development. Develop, share and implement the long term vision and strategy of the Service Team. Lead, retain and develop the BRZ Service team ensuring high levels of EE engagement. Preparing, submitting and monitoring Region Service budgets and headcount requirements. Ensure effective management of service inventory levels and accuracy. Develop and manage the policies and procedures within the Brazil’s Service department. Ensure that suitable metrics are developed and monitored for the performance of the Service Team. Ensure that an effective communication system is in place for the assigned staff to be aware of relevant issues within the department and the company as a whole. Spend at least 25% of the time “in the field”,visiting customers/KOAs to develop and maintain good relationships, monitor customer satisfaction and market the services and value provided. Develop annual budgets based on strategic plan, and deliver budgeted performance. To ensure that the service contract offerings and charges for support services are profitable and that they are marketed effectively. Develop in conjunction with the IAS and Services BUs effective competitive sales and strategies. Leverages DBS initiatives to drive continuous process improvements. Focuses on key aspects including overall customer experience and the impact of disruptive technologies.  2+ years of experience at management level within Life Sciences, Diagnostics, Medical Devices or related fields.  Bachelor’s degree (BS/BA) in the fields of Engineering, Sciences, Health Sciences or Equivalent. 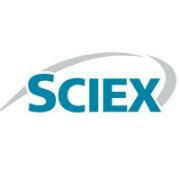  Strong experience in high complex LS, MD or Analytical Instrumentation; experience with SCIEX products will considered a plus.  Possess strong management skills to effectively manage and direct Service Team to achieve business objectives. Danaher is a Fortune 200, NYSE-listed, science and technology leader that designs, manufactures and markets innovative products and services to professional, medical, industrial and commercial customers. Our premier brands are among the most highly recognized in each of the markets we serve. The Danaher Business System provides a foundation to our 63,000 associates around the world, serving customers in more than 125 countries. In 2012, we generated $18.3 billion of revenue from five reporting segments: Test & Measurement, Environmental, Dental, Life Sciences & Diagnostics, and Industrial Technologies. Danaher products span some of the most demanding applications in the world, creating new possibilities not only for those who use them, but for millions more who never give them a moment’s thought. In every case, they’re delivering benefits that matter to markets that are eager for innovation. And we are doing it through a customer-centric approach that unites our businesses and has made them global leaders.